As the Market Basket saga continues, I thought I’d share this great visual synopsis of the employee emotion behind the activism. The picture was tweeted by our local ABC affiliate. The Market Basket board of directors continues to debate whether to accept ArtT’s buyout offer. The employees continue to picket outside the stores and the customer boycott deepens both in sympathy with the workers, but also due to the dwindling supplies on the store shelves. And this remarkable show of just how powerful employee loyalty can be continues. 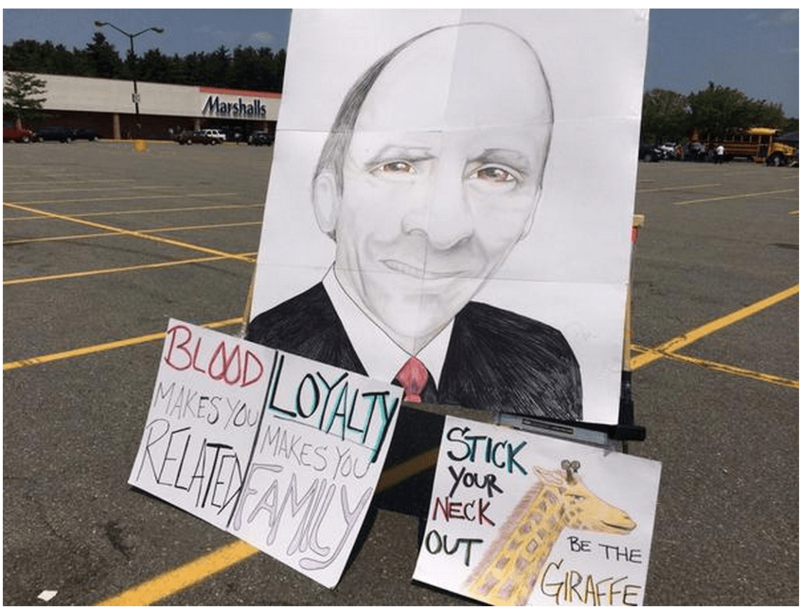 According to this report, “A petition signed by managers and assistant managers of 68 of the 71 New England stores warns that they will immediately resign if Demoulas is not restored “with full authority”. Various estimates put Market Basket’s losses at over $10 million per day as employees and customers await the board’s decision on whether and how ArtT might return to his former position as CEO. Market Basket According to the HR Bartender: What Does Employee Engagement Look Like? This.